Breeding decisions are one of the most important ones we make as alpaca farmers. Our goal is always to produce improved fiber characteristics with each new generation. So, we look carefully at the fiber of each of our females, and evaluate her strengths and areas that we would like to improve. From there, we choose the male that will most likely improve her weak areas without losing the positive characteristics she has. We evaluate our alpacas in a number of ways, including a hands on assessment and scientific analysis of their fiber. Each year at shearing time, we take a sample from the fleece of our alpacas. This sample comes from the midside of the alpaca, and is sent to Yocum-McColl fiber testing lab where it is assessed for a number of traits important to alpaca breeders, including: fineness, measured as Average Fiber Diameter; consistency of the fiber diameter across the sample, measured as Standard Deviation; Comfort Factor, measured by the number of fibers under 30 microns in diameter (fibers above this will ‘prickle’ skin when in a yarn) and several other factors. We also weigh the amount sheared each year and submit that fleece weight information as well. 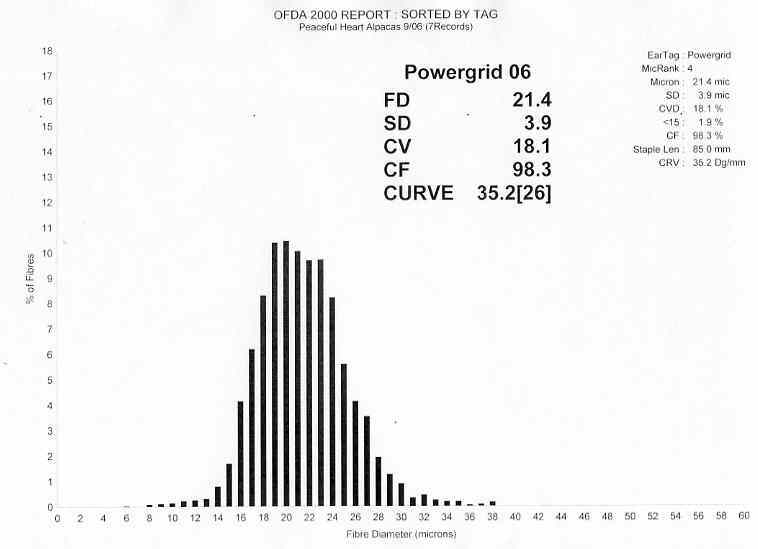 From that analysis, we receive a histogram for each alpaca detailing their fiber statistics. That report is also sent on to the Alpaca Registry (ARI) who yearly use this data from alpaca farmers across the country to generate EPDs. EPDs are used in many livestock industries to guide breeding decisions. They help us by giving a numerical value to show which alpacas are most likely to pass on specific fiber characteristics. We have found that the data we are receiving mirrors our personal observations over the last 7 years we have been raising alpacas. Powergrid is a great example. He ranks in the top 5% in all EPDs related to fiber fineness, and is number 1 in the measurement for consistency (standard deviation of average fiber diameter). Powergrid has been the foundation of our breeding program at Peaceful Heart Alpacas. He was one of the first alpacas we bought, and has produced 11 crias for us. We have seen the similarity in fleece structure with the birth and growth of each cria. Multiple crias have followed in his steps to win blue ribbons for their fleece, as he continues to do. You can learn more about Powergrid on his webpage. We are also offering (until 3/31/13) a special package of two girls bred to Powergrid for spring 2013 crias, with additional breedings to Powergrid or any of Peaceful Heart Alpacas’ herdsires. If you are interested in learning more about histograms and EPDs and how these tools can be used to improve your alpaca breeding program, we will be offering a class focusing on alpaca fiber and health on June 1. “I am writing you because we would like to feature your alpaca in a Top 5 list of EPD traits during the AOBA National Conference and Show taking place in Denver, May 16-19, 2013. Alpacas were ranked according to breed and gender. Only alpacas with a trait accuracy greater than or equal to .1 were ranked. We would be proud to list your alpacas’s EPDs along with information about your farm, but we need your assistance to do it. This information will be featured in a looped presentation on a monitor at the ARI booth. Time is of the essence and we need to hear from you as soon as possible. 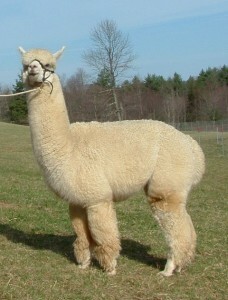 The presentation will include a picture of the alpaca along with its EPD statistics and ranking. Your farm name and contact information will also be displayed. If you consent to display your alpaca at nationals, please complete and sign the following form and mail to ARI in the enclosed self-addressed stamped envelope. 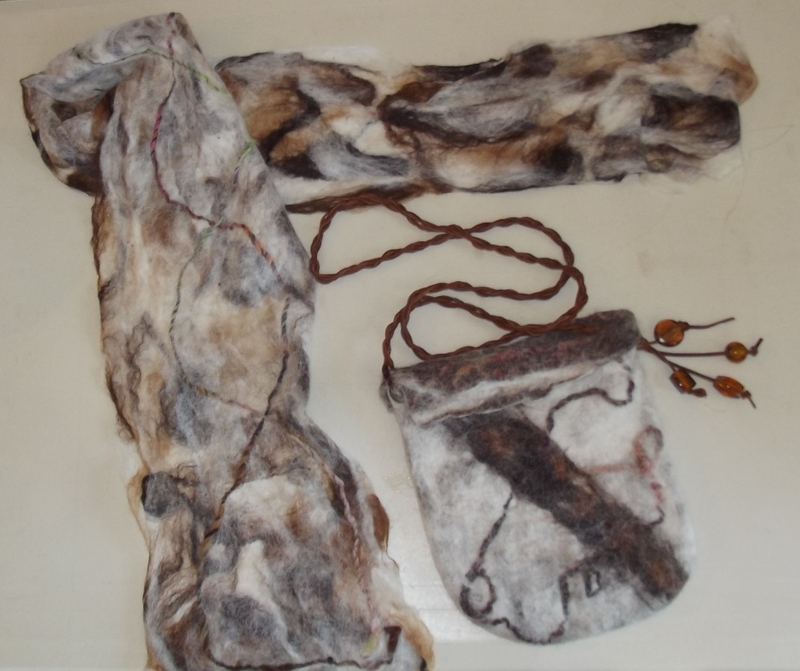 We continue to work on scheduling the fiber art classes for the year, and are pleased to announce that we will be offering our three most popular wet felting classes, taught by Karen Simpson, the weekend of July 27-28. 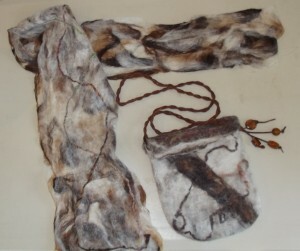 Learn more about our felted purse, scarf and hat classes on our website. You can sign up online, by phone, or at the farm. You can also see pictures from our previous classes on our Facebook page. We are very happy to post that our most popular alpaca socks are now back in stock in all colors and sizes! These wonderful alpaca socks are made specially for our farm by a wonderful Fair Trade Certified company in Peru. The socks have a small alpaca at the top and our farm name “Peaceful Heart” along the bottom of each sock. Made from 80% Baby Alpaca, 10% spandex, and 10% nylon, our alpaca socks are soft and comfortable. They keep your feet warm and dry while not getting overheated. Perfect for wearing in boots while hiking or hunting, the sock are also comfortable worn with tennis shoes or around the house. 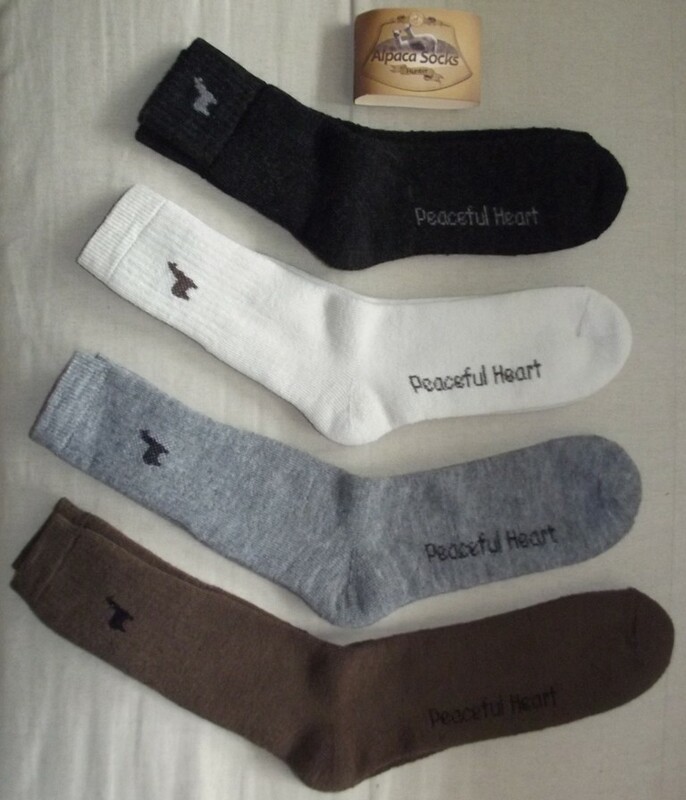 These great alpaca socks are available in four colors: black, pearl white, silver gray, and brown. Each color is available in four sizes: Large (Men’s shoe size 11+, that come up mid-calf); Medium (Men’s size 10 or less, Women’s size 8 1/2+, mid-calf); Small-Tall (Women’s shoe size 8 or less, mid-calf); and Small-Crop (Women’s shoe size 8 or less, that come up to right above the ankle). Visit our online store or come by the farm to get your alpaca socks today. 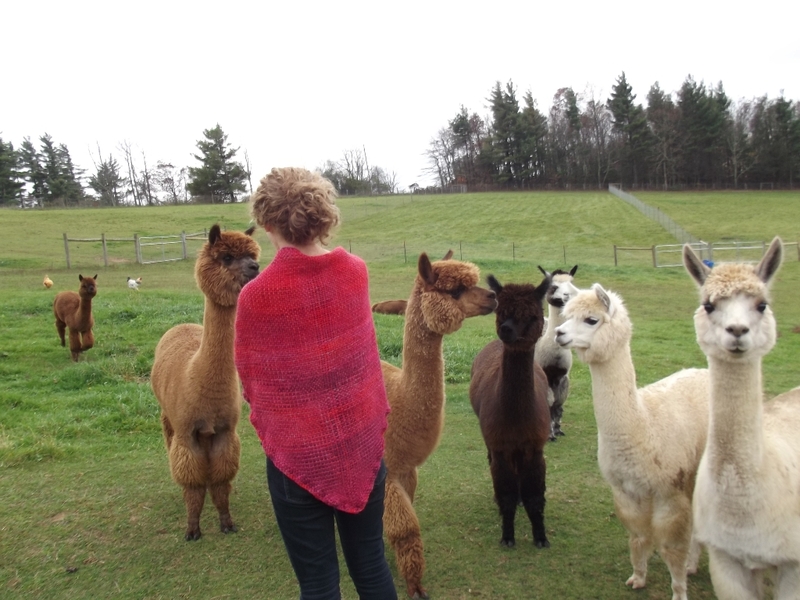 We have scheduled three of our popular Weaving an Alpaca Shawl on the Triangle Loom classes for 2013. Classes are scheduled for June 28-30, September 13-15, or October 25-27. We begin on Friday evening, when we talk about design, pick out our yarns and begin weaving, then weave all day Saturday and Sunday (with breaks throughout the day to visit with the alpacas and enjoy great food). By the end of the weekend, you will go home with a beautiful alpaca shawl that you designed and wove. For more information and a link to sign up online, check out our class description. 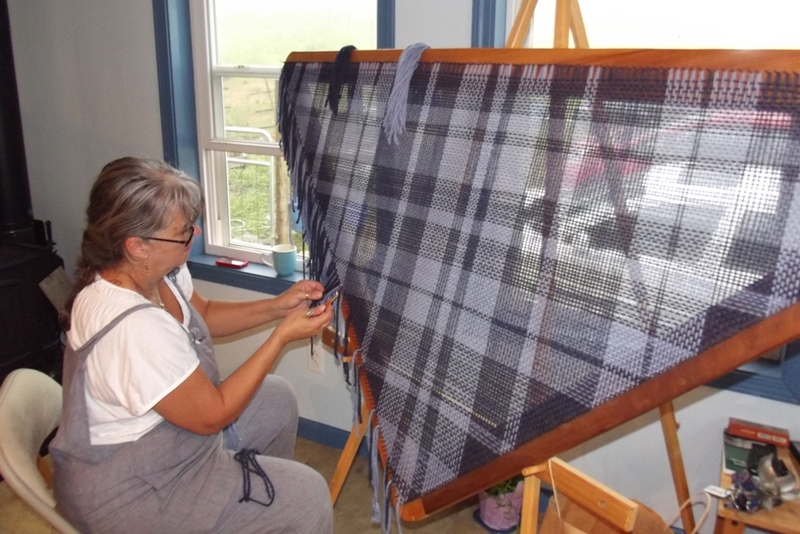 You can see pictures from our previous weaving classes on our Facebook page. We are currently working on scheduling the rest of our fiber art classes for the year, and will be posting them as the dates are confirmed.